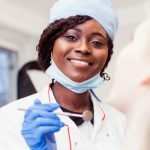 When many people think of dental surgery, more commonly known as oral surgery, they most often think of tooth extraction. Although this procedure is relatively common, it is by no means the only form of oral surgery. 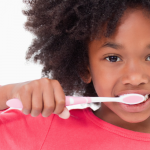 As mentioned above, tooth extraction is one of the most commonly performed oral surgeries. A tooth might require extraction if it is damaged, badly positioned, or determined to be nonfunctional. The surgeon may need to move bone and gum tissue in order to expose the tooth for removal. Extraction is preferable to a root canal, which becomes necessary when decay extends deeper down to the roots (see reason #5 for more information about root canals). Typically, the healing process takes about a week. People generally lose permanent teeth for one of two reasons: an accident or an infection. No matter the reason, dental implants are a popular dental surgery completed to replace a non-functioning tooth. An implant consists of a root substitute that is surgically anchored to the jawbone. The prosthetic tooth is then placed on this root. The length of this procedure can vary, but it is usually completed in 1-2 hours and followed by a 3-6 month recovery period. 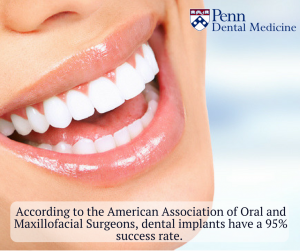 According to the American Association of Oral and Maxillofacial Surgeons, dental implants have a 95% success rate. Wisdom teeth are the last to develop, usually between the age of 17 and 25. 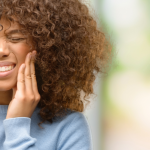 Sometimes they grow in without problems, but more often than not, one or more don’t emerge properly through the gum line and become entrapped or “impacted.” These impacted wisdom teeth remain stuck between the jawbone and gum tissue, and can cause pain, swelling, and infection. They can also cause permanent damage to nearby teeth and gums, which is why dentists recommend having them surgically removed. Typically, recovery time from this procedure will take between 3 days and a week, making it a fairly “easy” dental surgery. Some people’s upper and lower jaws do not grow in equal measure, causing problems with speaking, eating, swallowing, and even breathing. Many times, the resulting improper alignment of teeth can be corrected with braces. In more severe cases, however, oral surgery is required to shift all or part of the upper or lower jaw into a new and more balanced position. The tooth is made up of three parts: white enamel on the surface, hard dentin underneath, and a soft tissue called the pulp, below the gumline. As the “living” part of your tooth, the pulp contains blood vessels, nerves, and connective tissue. Root canal treatment is necessary when the pulp becomes inflamed or infected. Such inflammation or infection could be due to an accident, repeated procedures on the tooth, or deep decay. When left untreated, the decay can extend down to the jawbone, causing serious and sometimes irreparable damage. During root canal treatment, an endodontist carefully removes the pulp inside the tooth, cleans it, and places a filling to seal off the area. Like any other surgical procedure, you should expect to take a few days to recover afterwards. Penn Dental Medicine provides high-quality oral surgery to hundreds of patients every year. All procedures are performed by predoctoral students or postdoctoral residents, and are overseen by our experienced faculty doctors from the University of Pennsylvania School of Dental Medicine. We ensure positive outcomes for our patients through quality care, expert techniques, state-of-the-art technology, and pain management. 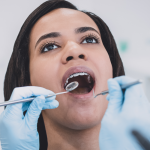 Learn more about what to expect from your dental surgery in this comprehensive guide. Please call us at 215-898-8965 to schedule a consultation about your oral surgery needs.